Guess what I found in the mail? Is that a hardcover copy of City Love? Oh yes. Even though City Love won’t be released until April 21, the books are of course printed before the release date and my publisher sends me come copies. This book jacket is all metallic shiny glimmer. The spine looks like it’s radiating light. I can’t wait for you to see how dazzling this book looks on the shelf. Did you notice something peeking out from below the book jacket? Like there’s another image printed underneath the jacket? I KNOW. My publisher is so freaking awesome that the cover photo was printed again right on the hardcover! There was some debate whether to print the cover photo exactly as it was or to zoom in like this. I like the design team’s decision to alter the image. It’s a unique approach that brings us even closer to these characters. 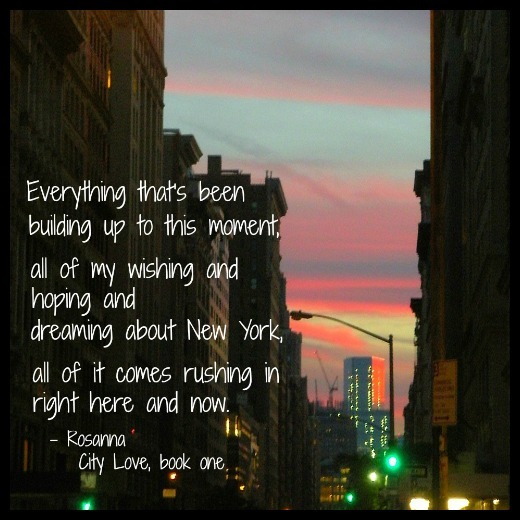 You can pre-order City Love at Amazon, Barnes & Noble, or IndieBound. Lots more fun City Love things coming your way this week! Please stay tuned, friendly neighbors! 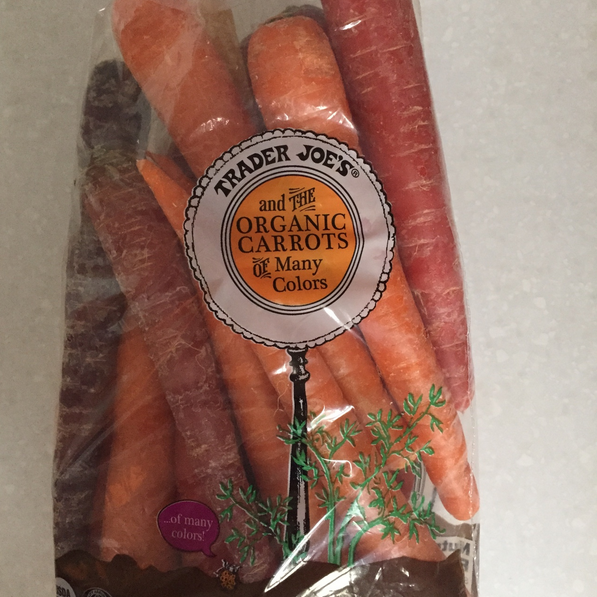 Carrots in a whole bunch of colors! If you hear loud, incessant crunching, that would be me. 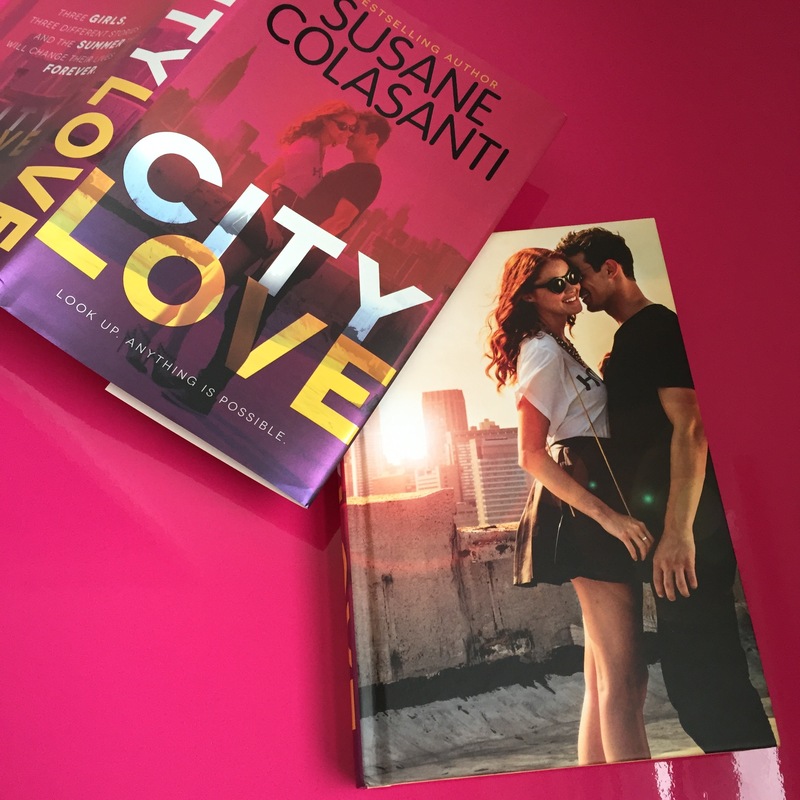 Ready for book one of the City Love trilogy? It comes out one month from today! In case you didn’t get my newsletter on the first day of spring, you can see it here and subscribe to my newsletter here. 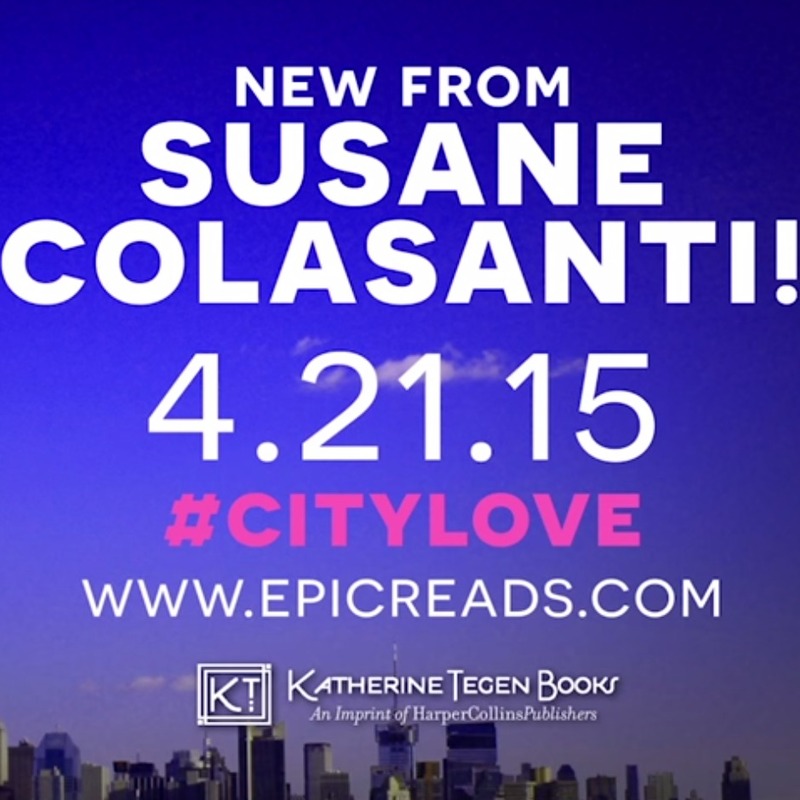 All of the City Love book tour events that have been confirmed so far are listed. We are just waiting for the Epic Reads Summer Tour to be announced. I will let you know as soon as it is and my tour schedule is complete! Spring is finally here. The vernal equinox was yesterday, which is my favorite day of the year. Did it snow yesterday on the first day of spring? Oh yes. But the snow was just a test. Spring brings renewal, fresh air, and colorful flowers. Spring is rejuvenating and reinvigorating. After a harsh winter of hunkering down inside, I am excited to bust out with a shiny new season and a shiny new book. I hope you are excited for all of the possibility spring brings, too. These are exciting times, friendly neighbors. We are on the brink of much magnificence. 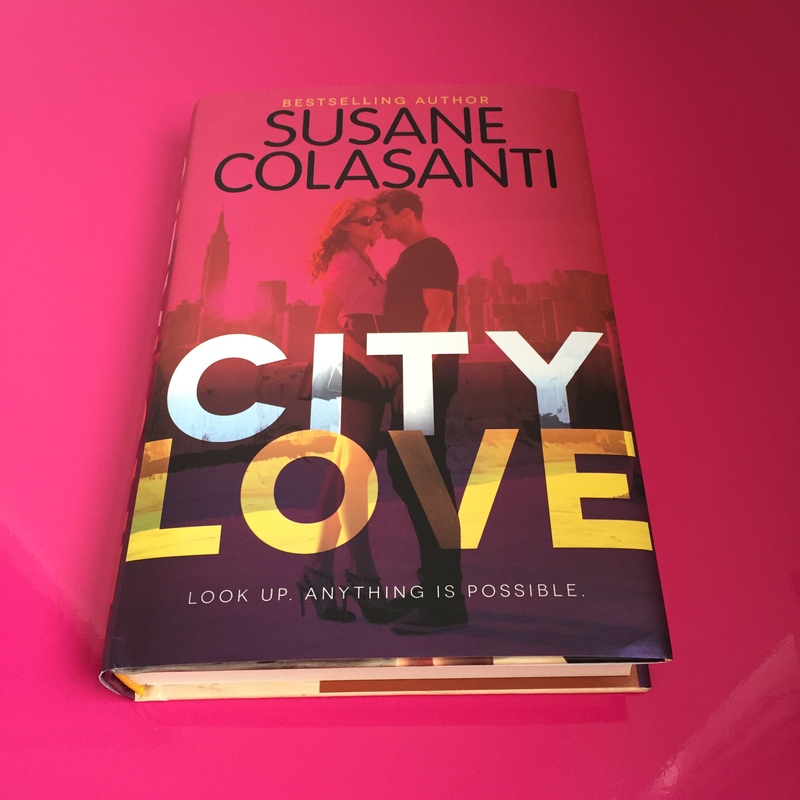 Only one month to go until City Love is out in the world on April 21! Only two days until the first day of spring on March 20! Only four days until the annual ginormous signing at Books of Wonder in Manhattan on March 22! I’ll be signing from 1:30 to 2:00. Please swing by and say hi this Sunday if you’re in the New York area. You’ll be seeing a video very soon that will introduce you to the girls of City Love. This trilogy is told from the alternating perspectives of three girls: Sadie, Darcy, and Rosanna. They are three very different girls who are placed in the same student housing apartment the summer before college begins. This is the summer after high school, that effervescent summer when you feel invigorated and free and alive in a way you never have before. Add that to a summer of living in the West Village, New York City wide open to you with its amazing energy and endless possibilities. Oh yeah. This is the summer that will change their lives forever. Until the intro video is released, I wanted to share some insight about each of my girls to get you ready for meeting them. I’m hoping you will adore them as much as I do. Sadie Hall is the romantic dreamer. She believes in true love and knows that soul mates are real. Sadie is in love with New York City. She grew up here and can’t imagine living anywhere else. Sadie is always spreading the love with her warm fuzzies and random acts of kindness. She loves rooftop gardens, rainbow sprinkles, and surprises. Sadie is an eternal optimist, appreciates non-coincidences, and believes that everything is connected. And yes, this is the same Sadie from So Much Closer. I loved her so much I just had to bring her back! Darcy Stewart is the exuberant adventurer. She’s from Santa Monica. This summer is all about having boy adventures with New York City as her playground. New York is her drug of choice. She is super generous and loves treating her friends. Darcy isn’t into planning. Life is a wild thing and she likes to go with the flow. Darcy is a street style enthusiast and believes that a killer wardrobe is essential. She loves the smell of old books, peanut butter cookies, and kitsch. Darcy is not fully human in the morning until she’s had her coffee. Don’t mess with her and you’ll be fine. Rosanna Tranelli is the introspective idealist. She’s from Chicago, but has known for a long time that New York City is where she belongs. She has strong opinions and holds people to high moral standards. Her motto is “Be the change you want to see in the world.” She is cynical but hopeful. She is a morning person. Rosanna loves birds, lime popsicles, and bike riding. Rosanna misses her super soft lavender blanket she’s had since she was little. She couldn’t afford to ship it to her new place. New York is astonishingly expensive, but Rosanna is determined to make it here. Yay for Friday the 13th! Friday the 13th is my lucky day. Why? Because back in junior high, I made an executive decision to reject the widely accepted notion that Friday the 13th brings bad luck. I wanted to own the day and redefine it in more positive terms. So I declared Friday the 13th to be my lucky day. And it’s been that way ever since. Friday the 13th is also Sadie’s lucky day. 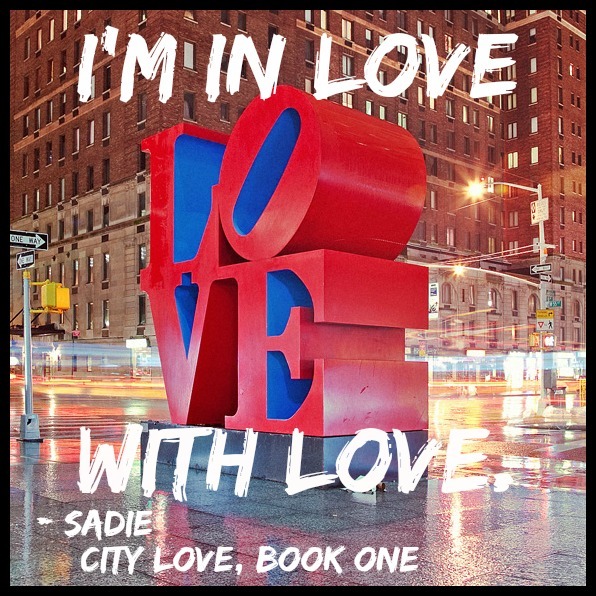 Yes, that Sadie from So Much Closer, who is coming back to spread the love with even more warm fuzzies as a main character in City Love. 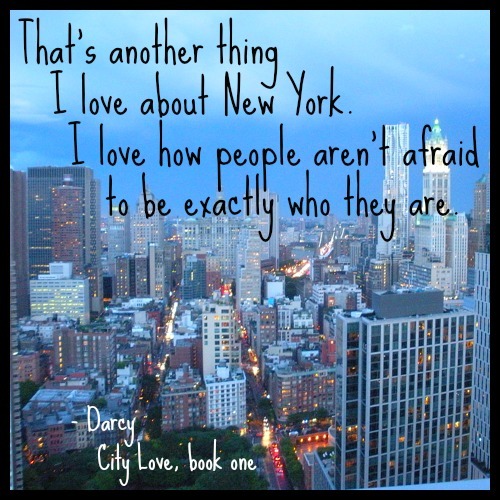 Yes, that City Love, which was named a Big Spring Read for Young Adults by Amazon! My book tour schedule should be posted very soon (we’re just wrapping up a few details) for events in April and May. Here are some events that have been confirmed so far in Houston, Dallas, Chicago, New York, New Jersey, and Charleston. In the New York area? I’ll be a part of the NYC Teen Author Festival next week. You can find me on Thursday, March 19 at WORD Bookstore in Brooklyn at 7:00 pm. Then I’ll be at Books of Wonder in Manhattan on Sunday, March 22 for the annual ginormous signing at 1:30 pm. Check out this dope author lineup for the signing. All of the giveaways are via Rafflecopters. These are US only. A few more book blogger giveaways will be busting out as March marches on. You can stay updated about new giveaways on my Twitter and Facebook. Good luck to everyone! Positive energy is the key to turning your dreams into reality. One thing I always say about New York City that I had to include in City Love is this. Why? Because in this city where millions of people live, where you pass hundreds of strangers on the sidewalk every day, where you get into routines of walking the same way and going to the same coffeeshop and frequenting one drug store over another just because yours is one block closer to your apartment, you will run into your old camp counselor from 20 years ago. Who doesn’t even live here. On a subway you never take at a time of day you never take the subway. Your old camp counselor will get on your subway car out of all the other cars she could have chosen. And you will look up from your book at that exact moment she gets on and recognize her. If you hadn’t looked up right then, you guys would have missed each other entirely. These kinds of encounters happen all the time if you look up. That’s just part of the magic here in New York.